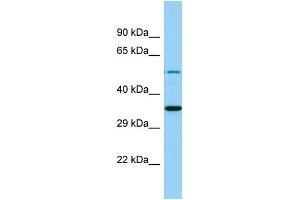 Characteristics This is a rabbit polyclonal antibody against MBOAT4. It was validated on Western Blot. Background MBOAT4 mediates the octanoylation of ghrelin at 'Ser-3'. It can use a variety of fatty acids as substrates including octanoic acid, decanoic acid and tetradecanoic acid.